Thank you for using Rebrandly! We discovered Rebrandly when searching for a solution to hide ugly tracking codes from our audience. 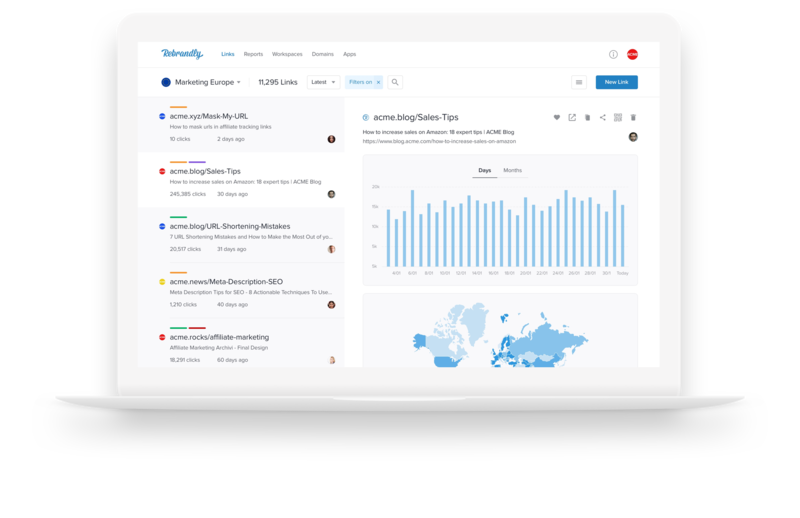 Since adopting it, we've found many great ways to use Rebrandly across teams to track our traffic-driving efforts on social. We've seen a marked difference in the interaction with our branded links vs. the long ones we used to share before, and now we have a quick way to report back on the strength of our content plan. We use Rebrandly simply because it makes our links look both prettier and shorter. Our marketing, social and community support teams love how easy it is to hide tracking parameters from our customers while still measuring performance. Smart looking Rebrandly links have proven very useful for both our teams and conference attendees.